Heather Rae Weseman is a happily married mother of five precious girls. She keeps busy homeschooling her children and helping her husband farm their Minnesota land. 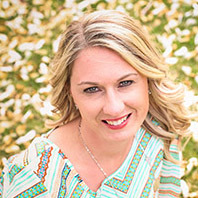 Heather has a passion for photography and loves capturing moments for others. Check out her website to see her work at: www.momentsbyheather.clickbooq.com.